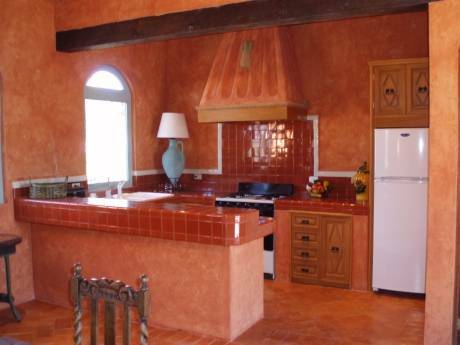 Lovely Mexican style casita situated on one of San Miguel's premier Estates. Surrounded by hundreds of palms and cactii and other various tress and shrubs. Beautiful views of Sierra mountain range surrounding San Miguel. 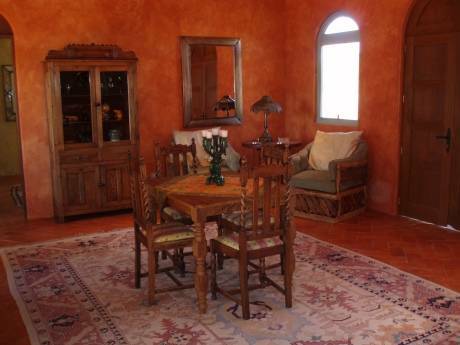 Situated in the countryside; yet only 5 minutes from all the touristic activities of San Miguel de Allende. Available on site is your own bocce court . Exercise equipment available at extra cost. 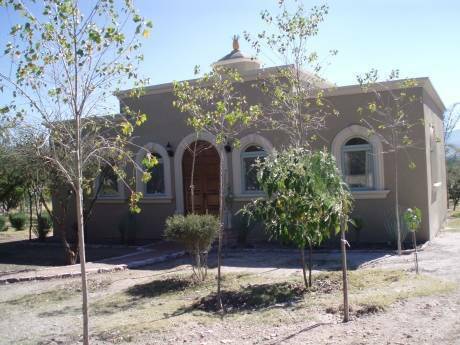 Casita de La Pina has 2 bedrooms and 2 bathrooms. A lovely modern Kitchen and Large living/dining room with Stone Fireplace, and a covered porch with wonderful views of the mountains. San Miguel is a very beautiful city and is well known as one of the best tourist destinations in the world. 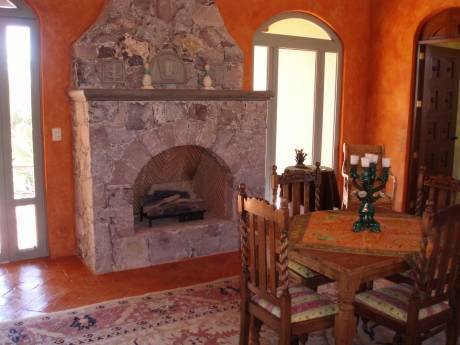 Also it is close to many other lovely cities such as Guanajuato and Queretaro. Payment one month in advance. Two week notice to ancel without penalty. 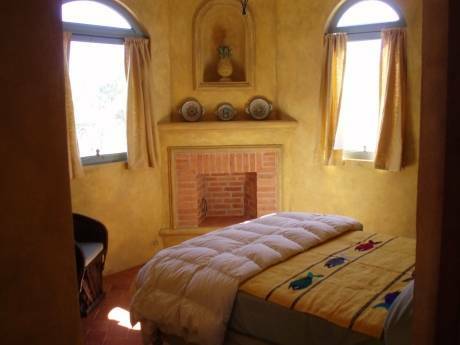 We are 3 miles outside of San Miguel de Allende on autoroute leading to Dolores Hildalgo. 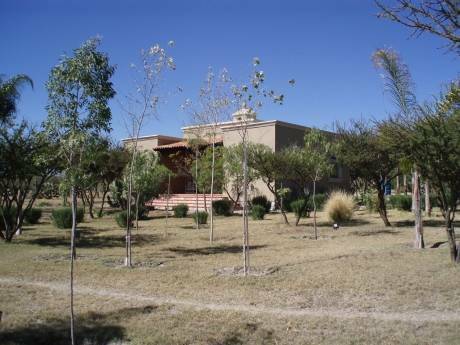 Nearest airport: Queretaro 1 hour and Leon 1 half hours.